A few buttons and a two-lines display for more than 2000 parameters: the user interface of the Lexicon® MPX-G2 was a nightmare in the era of computers, smartphones and tablets. Although it is the most advanced professional guitar effect's processor on the occasion market, it always suffered from the lack of a patch editor. Lexicon is a registered trademark of Harman International, Inc. The project started in august 2011 and is developped using free software. It runs on Windows®, OSX® and GNU/Linux. 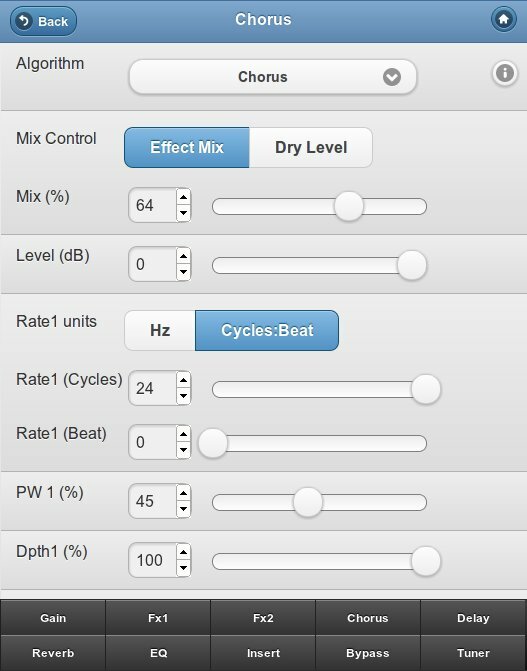 Copy any parameter section (control levels hierarchy) between presets. 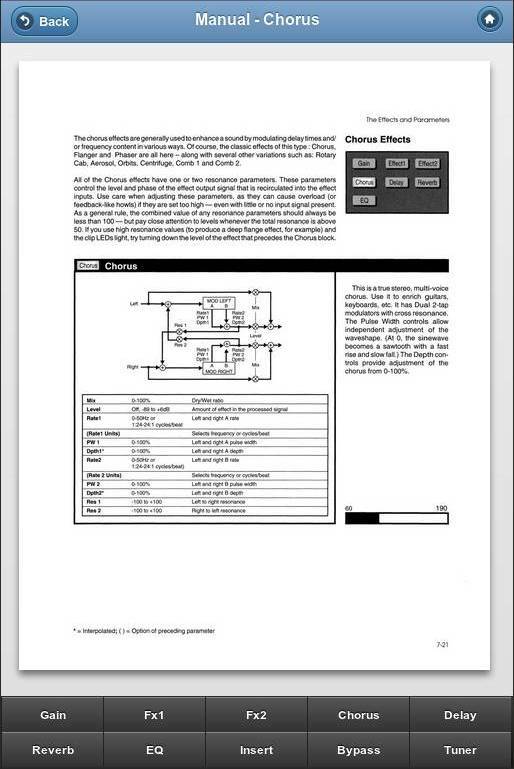 Display the official manual page for the current parameter or algorithm. 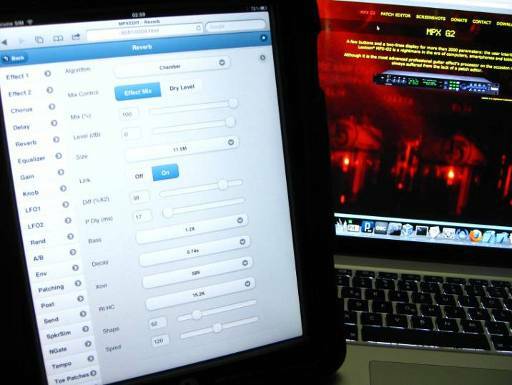 Modify the audio route using drag and drop. Have a global view of the parameters, discover the ones you were not aware of, and have them within reach of your mouse or fingertips without having to bendover, press buttons and turn the knob again and again. Change parameters remotely in your browser (from any computer, decent smartphone, or tablet ..or from three simultaneously). Define custom windows with the set of panels or parameters you need handy. Build and manage program banks and store/recall system parameters presets. OSX is a trademark of Apple Computer Incorporated. Please send me some beers'n cookies if you keep using this editor or wish to support future development of this project. Click here to join the Lexicon MPX-G2 Editor Google group. 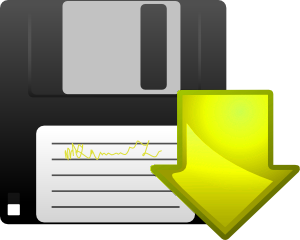 2012/01/20: Version 1.0a2 has been released. Instructions are in the README. Please keep in mind that it is still an incomplete development release. Feedback is welcome. Recommended browser for using MPXG2Edit is : Google Chrome. Linux version was built on ubuntu natty. Macintosh version was built on OSX 10.6 and has been reported not working on OSX 10.4. Windows XP version has been tested with service pack 3. For Windows 7, minimum requirement is service pack 1: updating your system manually may be required. 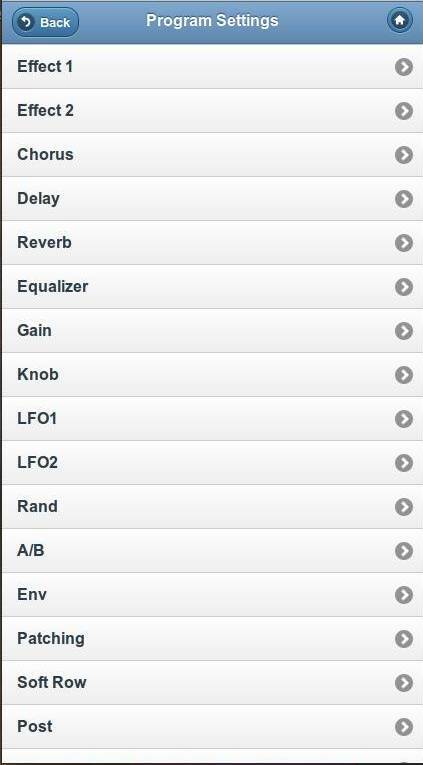 If you do not see your MIDI interface in the configuration panel, reinstall your MIDI device driver as administrator (right click).